What has been around for years and was supposed to help people, has turned into a way for teens to change what they were born with. Thousands of teens suffer from depression and low self-esteem. One major reason for this is because they are unhappy with the way they look. These same teens look to plastic surgery to make themselves look better. They believe that this surgery will be the answer to all that troubles them. Unfortunately, this is NOT the case. More and more teens are receiving plastic surgery every year. This can sometimes ruin a teen's natural body acceptance. Cosmetic surgery is just a way to get teens out of accepting themselves. Cosmetic surgery is not good for teens: it can rob teens from gaining natural self-acceptance and can cause a plethora of certain diseases. Cosmetic surgery isn't completely terrible. It can help correct birth defects such as cleft lips and palates. The surgery helps them to be considered "normal". 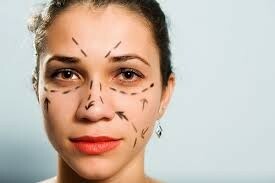 Teens that have low self esteem may look to plastic surgery as a solution. This may help them feel better about themselves and lead them out of the possibility of depression. However, teens may experience lower self esteem if the surgery does not turn out as expected or worse than before. Teens can also get cosmetic surgery because they desire attention. 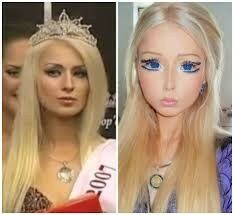 In the picture shown, this young lady turned herself into "Barbie". This has gotten her recognition from people across the world and magazines and newspapers everywhere. First, cosmetic surgery can be life threatening and can complicate a teen's life. It can lead to permanent numbness, infections, blood clots, and in some extreme cases, even death (Ali). This can cause for them to have further surgeries in their adult lives. When these teens have complications in their surgery, they hardly notice them and let them get worse. This causes more and more problems that they will have to deal with later on in life. 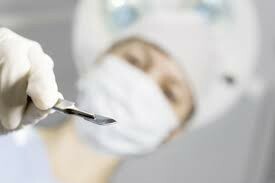 In surgery, most doctors use anesthesia. Sometimes this creates an allergic reaction which can result in heart problems, bleeding, and even MORE INFECTIONS!!! According to Britten, teens should limit there contact to plastic surgery in general. Second, cosmetic surgery can cause teens mental illnesses. Teenagers should not get plastic surgery because they are not mentally or physically prepared. Teen bodies are still growing. 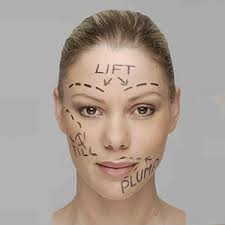 As teens mature their body image tends to improve with or without plastic surgery. Some plastic surgeons think that children under the age of 18 should only be getting plastic surgery for medical or psychological reasons (Libal). The mental state of a teen is a huge factor in plastic surgery. Although the surgery is towards the outside, it can affect the inside a tremendous amount. All in all, teens getting cosmetic surgery can be a bad idea. Adults and parents should try to prevent their teens, and teens around them, from getting plastic surgery. Teens should be able to gain their own self-acceptance. They also should not have to deal with diseases and things that could have been avoided without surgery. It can scar teens physically and emotionally. Please help to stop teens from having this surgery and persuade them to live their lives as they are.